Fred Ferrin, Mother's Day Letter, 1919. Sgt. 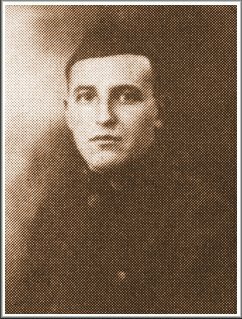 Fred Arthur Ferrin of Wilmore, Comanche County, Kansas, while serving in the American Expeditionary Forces, circa 1918. On Mother's Day, May 11th, 1919, six months after the Armistice of World War I was signed, many American soldiers were still with the American Expeditionary Forces in France. Among the number was Sgt. Fred Ferrin of Wilmore, Kansas, now of Pratt, Kansas. The following Mother's Day letter, written by Sgt. Ferrin to his mother, Mrs. Arthur Ferrin of Wilmore, Kansas, (was) printed by permission of Mrs. Ferrin's daughter, Mrs. Carrie Holmes, of Coldwater, Kansas. This is your day. All soldiers of the A.E.F. have been asked to write special letters today to their mothers. I suppose at home it is a day particularly remembered this year, as the Mothers of our Nation had the greatest share in saving the world from autocracy. Am sure it is a day of joyfulness and pride to those sons who were represented in the ranks and to those mothers whose sons are lying beneath the white cross. we ought to pause in special consideration, for it is they who have made the greatest sacrifice. Have attended just a few U.S. Military funerals over here, and while the dead were just comrades of mine, scarcely acquaintances, I believe they were the saddest funerals I have ever attended. One could not help but wonder about the lads' loved ones far across the waves and how they would be stricken with grief. Well, Mother, your son's achievements are not worthy of note, but I did the best I could, always conscious that you were with me in your thoughts, and knowing that I should never be able to count the silent prayers you have offered for my care and safety. May days of anxious waiting have I spent, too, waiting for some word from you. The first three months after leaving Kansas, without a line from any of you were the longest months I have ever passed through, and in my lonesomeness it seemed I was a million miles away. By the time you have received this letter I expect to be starting home. We are evacuating this place as quickly as we can get cars to ship away the hospital supplies; have ordered 80 cars, and have been loading several every day. Suppose I will be pretty tired when I come home, but will soon rest up. Will not be as hard a trip back as it was coming over. Came over on an English ship and we were crowded like sardines in a can -- sanitation was bad, food worse and not enough of it. We ate cold storage Australian jack rabbits, stale eggs, cheese and fish -- occasionally some jam. Two items of our fare I shall always remember and try to forget the rest -- the English have extra fine jam and preserves, and the bread was good; had a flavor like it originated from Kansas wheat. We were always crowded on that trip, either in stock cars or passenger coaches, or in tents while in camp, and slept on bare floors, sometimes in mud, for most days it rained. But since that month of traveling I have been very fortunate so far as comforts are concerened. Must close now and get this off on the train. While this is Mother's Day, and written to you, Dad must share in this letter, too, for my thoughts are also with him. Draft Registration card: Fred Arthur Ferrin of Wilmore, Comanche County, Kansas. Fred A. Ferrin was born February 22,1887, Comanche County, Kansas; he died August 20, 1969. His grave is in the Greenlawn Cemetery, Pratt County, Kansas. He was the son of Arthur & Alice (Eyerly) Ferrin and the father of virtuoso violinist and violist, Richard Royce Ferrin, who has celebrated his 30th anniversary as a violist with the Chicago Symphony. Fred Arthur Ferrin's first cousin, Walter William Ferrin of Wilmore, Kanas, the son of Loren & Alcana (Wagner) Ferrin, was also a veteran of the WWI American Expeditionary Forces. The marriage affadavit for Fred A. Ferrin and Fern Humphrey is available from Midwest Historical and Genealogical Society. See World War I in Comanche County, Kansas for news articles from local papers during the war. This web page was added to this site by Jerry Ferrin, 25 June 2002. It was last updated 30 May 2007.